The Natural Reserve Sierra de las Nieves is located in the natural district of the Serranía de Ronda, Málaga. This mountainous area has spectaculars ravines like the Tajo de la Caina, with more than 100 meters fall. You can also find deep abys due to the limestone grounds, an example of this is the G.E.S.M., with 1.100 meters deep. 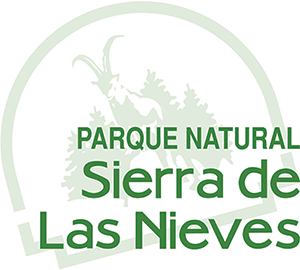 In june of 1995 the Sierra de las Nieves was declared World Biosphere Reserve by UNESCO, under Man and Biosphere program or MaB. This protected site has the world most important “pinsapar”, an endemic tree grove. The pinsapos (Abies Pinsapo) is a relic specie from the Tertiary, only found in north of Morocco and south of Spain, and covering 3.000 hectares of Sierra de las Nieves. 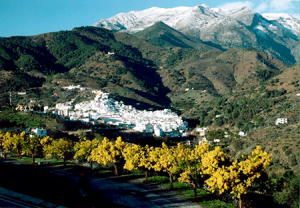 The highest peak is the Torrecilla of 1.919 meters in the Sierra Blanca de Tolox. Geologically the region is also important. It is the major massif of peridotite in the world, only comparable to the one in Russia, the Urals Mountains. This massif is an enormous batholite from the Primary Age changed in surface to serpentine. The metallic veins appeared at the consolidation of the batholite, plus the different minerals that formed it, give the area its richness. For that reason the spa waters are so mineraly rich. Great place to rest and relax, the Sierra de las Nieves has many mountain activities, as well as it’s located near touristic cities like Málaga, Marbella o Ronda. Fail to meet our treatments , with your stay at our hotel, you get 2 therapies so that you know the benefits of our spa. From the 31st of October. Come and enjoy the most relaxing and charming resort in Sierra de las Nieves. Follow us and be always update in our promotions and discounts about the Thermal Spa and Accommodation. 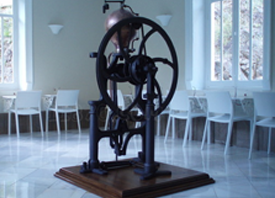 The Tolox Spa, established in 1867, is the only one in Spain specialized exclusively in the respiratory tract, as the waters give off gas which is taken in inhalation. 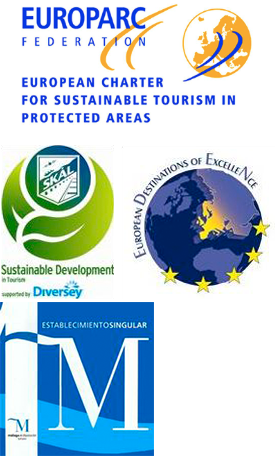 It's located a short distance from the village of Tolox at the foot of the Sierra de las Nieves, 55 kilometers west of the city of Málaga, 42 from Marbella and 54 from Ronda, and in many respects unique in the world. The surrounding mountains are a magnificent amphitheater, facing east, protecting you from the wind and provides a healthy microclimate. Receive our latest news in your inbox..
© 2014 Balneario de Tolox. All Rights Reserved.